Flint is the birthplace of General Motors and is second only to Detroit in auto production. It continues to see its fortunes rise and fall with the auto industry, and recent problems at GM and parts maker Delphi have weighed down the modest resurgence the city saw in the past few years. The city’s lowest point, in the 1980’s, was the focus of a documentary film Roger & Me, which depicted the effects of 30,000 lost jobs on the local economy and social fabric. Flint continues to work to build a broader economic base. There is a small but proud base of cultural attractions including an orchestra and other performing arts, plus a few quality museums. Cost of living and housing are low. The city is located in the Flint River Valley in the center of Genesee County. The surrounding terrain is generally level with some hills 15 miles southeast of the city. Climate is continental with a Great Lakes influence that cools summer days, slightly warms the winter, and prolongs warmer autumn weather—a combination providing favorable conditions for orchards and small fruit. The wettest periods normally occur in the late spring, early summer, and early fall. Winter is normally the driest season. Although snowfall is occasionally heavy, most occurs as frequent light flurries. Winter months are marked by considerable cloudiness and high humidity, while summer humidity is usually not excessive and sunshine is plentiful. Weather changes are frequent. First freeze is early October, last is early May. 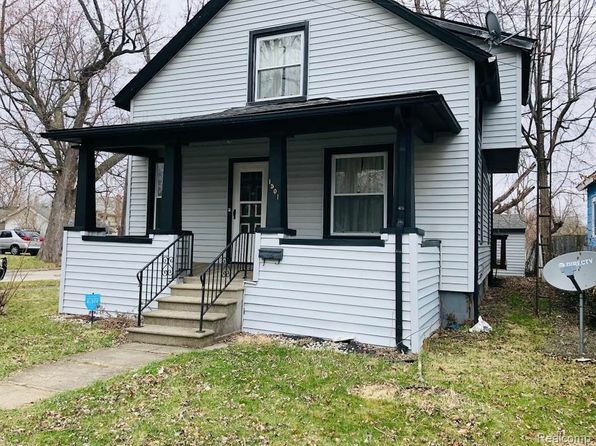 The median home price in Flint is $20,000. Browse Homes in this Range. 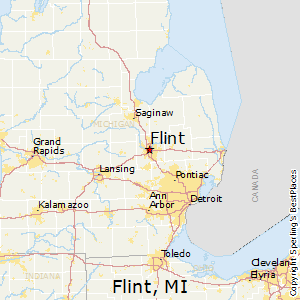 Compare Flint, Michigan to any other place in the USA.